Photographer Stephen Wilkes does something both jarring and beautiful with photographs: He merges images from different times of day together to show the passage of time. Martha Teichner reports on Wilkes' process to create stunning depictions of time. 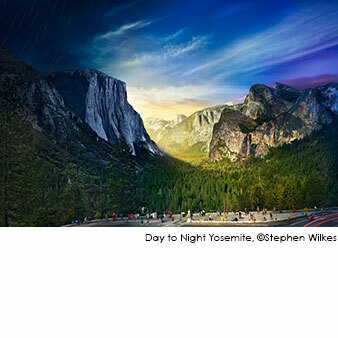 All photos copyright Stephen Wilkes. 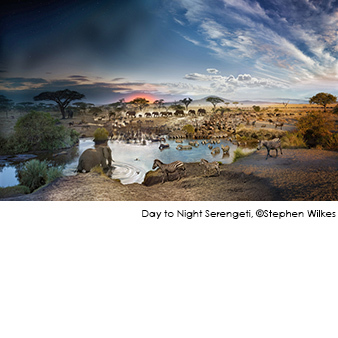 For more than two decades Stephen Wilkes has been widely recognized for his fine art and commercial photography. With numerous awards and honors, as well as five major exhibitions in the last five years Wilkes has left an impression on the world of photography. Over the years, Wilkes' photographs can be found in magazines such as Vanity Fair, Sports Illustrated, Time, Life Magazine, and The New York Times Magazine. His work on Ellis Island and his Burnt Object series were also featured in The New York Times Magazine as an artist showcase. He has been praised numerous times by the photographic and design industry with several awards including the Alfred Eisenstaedt Award for Magazine Photography, Photographer of the Year in Adweek Magazine, as well as honors in Graphis Magazine and Communication Arts. In 1999 Wilkes completed a personal project photographing the south side of Ellis Island: the ruined landscape of the infectious disease and psychiatric hospital wings, where children and adults alike were detained before they could enter America. Through his photographs and video work, Wilkes has inspired and helped secure $6 million in funding towards the restoration for the south side of the island. Beyond his national contribution, Wilkes' photographs on the south side also became an artistic one. The work was shown in April of 2001 in a one-person exhibition at The Soho Triad Fine Arts Gallery in New York. 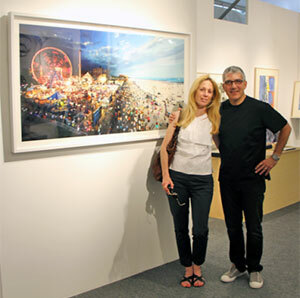 The photographs then traveled to Los Angeles for an exhibition at the Apex Fine Arts Gallery in January of 2003 and to the Monroe Gallery of Photography in Santa Fe in October of 2004 and October 2006. The photographs were exhibited in a solo exhibition in January 2008 at The Griffin Museum of Photography and The Chicago Cultural Arts Center in July 2008. 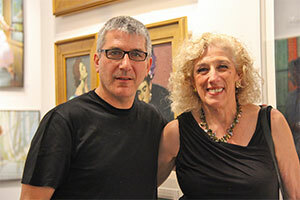 The James A. Michener Art Museum will exhibit the work in June 2010 and The Skirball Cultural Center in October 2010. In a review of the exhibit Margaret Loke of the New York Times writes, "Each of the rooms that he photographs with care seems to have its own luxurious color scheme. Mr. Wilkes sees pleasing palettes of impressionism in walls and ceilings of peeling paint." In November of 2006 W.W. Norton & Company, Inc. published Ellis Island: Ghosts of Freedom, a book of the photographs Wilkes captured on the island for a final tribute to the south side. Wilkes continues to be involved with his passion for Ellis Island. 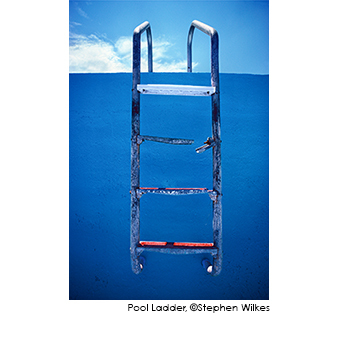 Wilkes was featured on Weekend Edition with Scott Simon of NPR, CBS Sunday Morning with Martha Teichner and the book received high critical acclaim including Time Magazine's 5 Best Photography Books of The Year, 2006. Leah Ollman of the Los Angeles Times wrote, "Stephen Wilkes' photographs of an abandoned section of Ellis Island are significant documents of a historical site. Strange as it may sound, they also succeed as spirit photographs, records of absent souls. The desolate corridors and vacant rooms in Wilkes' pictures are indeed haunted- and not by just any ghosts, but by our ghosts, the ghost of our ancestors." In 2000, Epson America commissioned Wilkes to create a millennial portrait of the United States, a 52-day odyssey that resulted in a critically acclaimed exhibition that traveled to New York, Chicago, Los Angeles, and San Francisco in 2001. Wilkes newest body of work on China was recently exhibited at ClampArt Gallery in New York, May 2007 and June 2008, in Los Angeles at the David Gallery, January 2008 and the Monroe Gallery, Santa Fe, October 2008. Wilkes also shoots advertising campaigns for many of the country's leading advertising agencies and corporations, including IBM, Wyeth Pharmaceuticals, Pepsi, The New York Stock Exchange, American Express, Epson, Nike, Sony, AT&T, Rolex, Vail Resorts, JC Penney, JWT, McCann Erickson, Ogilvy & Mather, Goodby Silverstein & Partners, and Rubin Postaer, Publicis, EuroRSCG, Leo Burnett and DDB. Wilkes' photographs can be found on permanent collection at The George Eastman House International Museum of Photography & Film, Library of Congress, Dow Jones Collection, The Museum of Fine Arts, Houston and The Jewish Museum, New York. ©Tulla Booth Gallery. All Rights Reserved.